This is the last of my catch-up posts from my Christmas break. On the last day of 2013, my dad and I met our friend Herman at a new place to photograph: Holloway Park in Lakeland. It’s a relatively new park, designed to be used for cross-country racing. The running trails are good for birds, too, and Herman is spending more and more time there instead of at the Circle B Bar Reserve. My dad and I were excited to get out and see a new place. It was a gray, nasty day — like all the days of my break! — and the clouds were thick and gray. The little birds were smart enough to stay under cover. Herman pointed out all sorts of places where he has seen warblers, sparrows, etc. The place has a lot of potential for bird photography. The paths are wooded and great for little birds. Large flocks of American Robins were roosting in the trees. There’s one pond on the property, but you won’t find many wading birds there. Herman says there is a reliable Belted Kingfisher, though! Herman is an Eagle Watch volunteer and he monitors the nest at Holloway Park. Based on his observations, he knew the eaglets would hatch a few days after we were there. He was right! On the day that we were there, one of the eagles stayed down on the nest. It was cold and windy, and we didn’t see the other eagle at all. 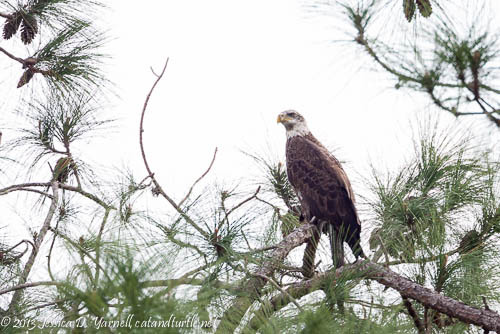 But we were surprised to see a juvenile eagle fly in and land in a nearby tree. Herman said nesting eagles will usually run off other eagles during nesting season, even if the juvenile is one of the babies from the previous year. I think the juvie eagle was a fourth year bird, since his head was mostly white with just a little brown smudging. 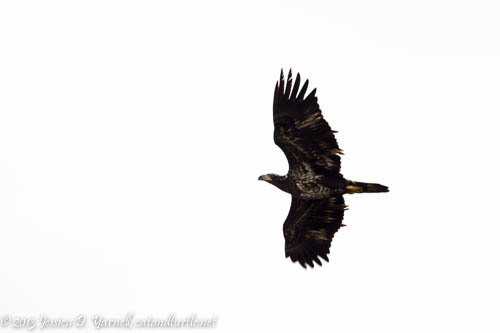 After walking away from the nest, we noticed a juvenile eagle in flight. At first I assumed it was the same juvie who had perched in the tree. 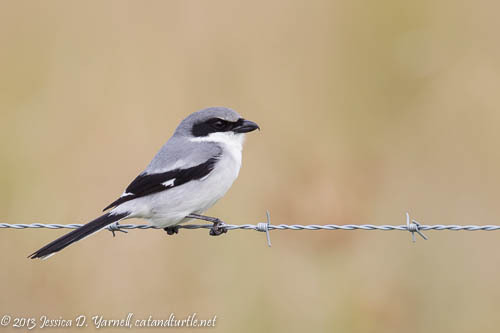 But after seeing my pictures, I realized it was a second bird, probably a second year juvie (with dark brown head). So I think we observed two juvenile Bald Eagles in close proximity to the nest. You can tell from my pictures what a gray, nasty day it was! I’m looking forward to returning to Holloway Park on a nicer day. 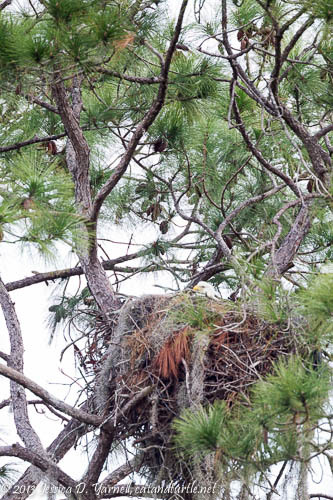 It’ll be fun to see the eaglets as they start peeking out over the top of the nest! Thanks to Herman for sharing this place with us. Nice shots even if the weather was yucky. Love the eagle’s nest. I had been seeing Herman post pictures from there on his website and was wondering about the new park. Was there anyone else there? It might be nice to get away from the traffic jams at Circle B. That was the best part about Holloway Park, Dina – no people!! I’m starting to avoid Circle B with all its traffic jams too. It’s sad – it used to be my favorite place to relax on a Saturday morning.